Can Mushroom Packaging Help Save the Planet? Mushrooms could be the key to reducing waste and creating packaging that’s easy to recycle and won’t end up in a landfill. At least one company makes this packaging. Computer maker Dell has already adopted it to help cushion some of their electronic shipments. Now Ikea says it plans to use it in place of polystyrene, aka Styrofoam. Consumers can take the packaging, crumble it and put it on top of soil in their garden. It will disintegrate within weeks. Developed by the American company Ecovative in 2006, the packaging is made by adding mycelium to clean agricultural byproduct, such as corn stalks and cotton hulls. Mycelium is the part of the mushroom you can’t see — it’s a mass of vegetation similar to roots. When added to the agriculture waste it digests it and turns it into a type of polymer. Ultimately a solid mass is formed, which is then dried to stop any further growth. The end product works like Styrofoam. In a 2010 TED Talk, product designer Eben Bayer, who grew up on a farm, said fungus-based packaging material may be the new way to protect fragile things like furniture, computer screens and ultimately, the environment. 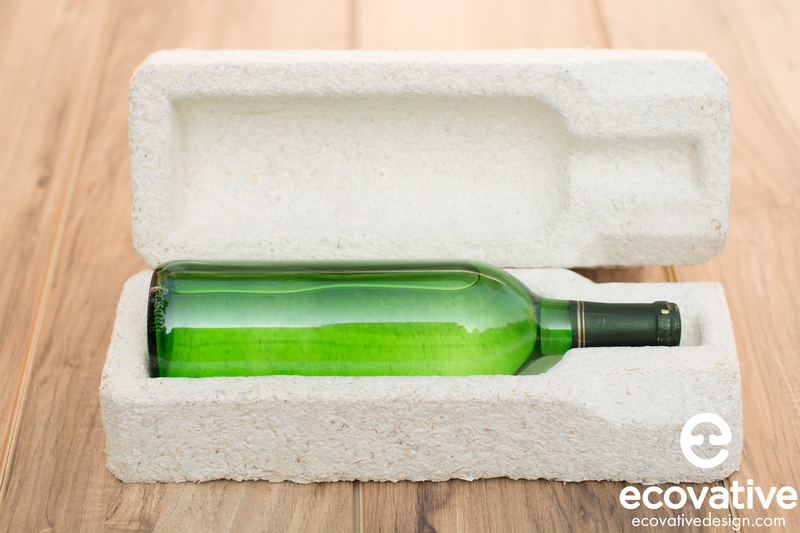 Polystyrene packaging, by comparison, takes some 500 years to decompose in a landfill. It can also make its way to the ocean. A recent study found that plastic may outweigh fish in the sea by 2050, if we don’t take action soon. In an effort to reduce waste, New York City joined more than 70 cities around the United States in banning single-use Styrofoam (expanded polystyrene foam products) and polystyrene loose fill packaging (think “packing peanuts”). Bring your own ceramic mug to work. Purchase meat and fish directly from the counter and ask that it not be wrapped on top of Styrofoam. Use reusable or paper plates and cups instead of Styrofoam versions. Skip the packing peanuts. Use recyclable paper or newspaper instead. If you’re getting take-out, ask if the restaurant can package it in something other than Styrofoam containers. PrevSevere Heat Waves: The Wave of the Future?